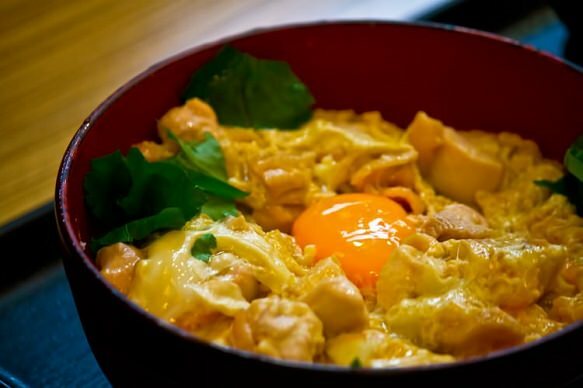 Oyakodon, which literally translates to parent and child bowl , is a Japanese rice bowl with eggs, chicken, and onions. The eggs and chicken are what make this bowl the parent and child bowl. The egg, chicken and onions are simmered in a savory sweet sauce, similar to that of a gyudon, and placed above the bowl of rice. 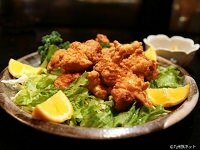 To top off the dish, a mitsuba, Japanese parsley, is usually placed on top for aesthetic presentation. 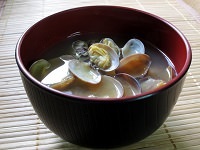 Oyakodon are a popular lunch and dinner meal in the Japanese diet, and is fairly easy to prepare. 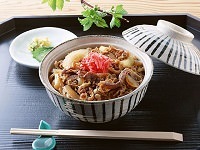 Most restaurants that offer gyudon or beef bowls will most likely also have oyakodon available. 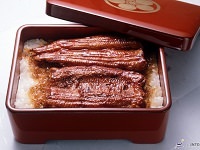 Most supermarkets and convenience stores also sell oyakodon bentos for businessmen or workers on the go. The high protein of oyakodon makes it a great, healthy option in the Japanese diet. You may have had a beef bowl from Yoshinoya, but have you ever tried an authentic Oyakodon? 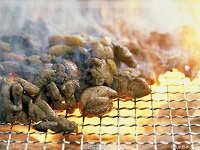 Taste the unique flavors during your next vacation with Japan Deluxe Tours best-selling Japan tour packages!